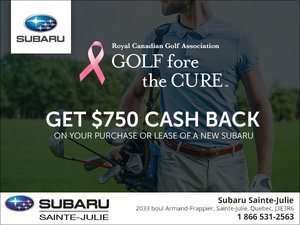 Subaru Canada, Inc. is proud to be a strong supporter of traithlon and running races in Canada, with events now held coast to coast. Last year, these ultra-competitive events attractesd some 25,000 athletes from accross the country and around the world. We are thrillled to have helped ignite the competitive spirit here in Canada and we are equally excited about supporting elite and recreational athetes and they get outr and experience the world firthand. 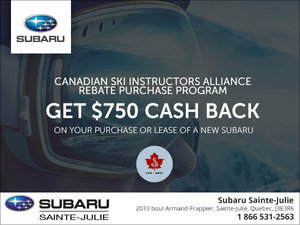 $750 ATHLETE REBATE* on the purchase or lease of a new Subaru vehicle. 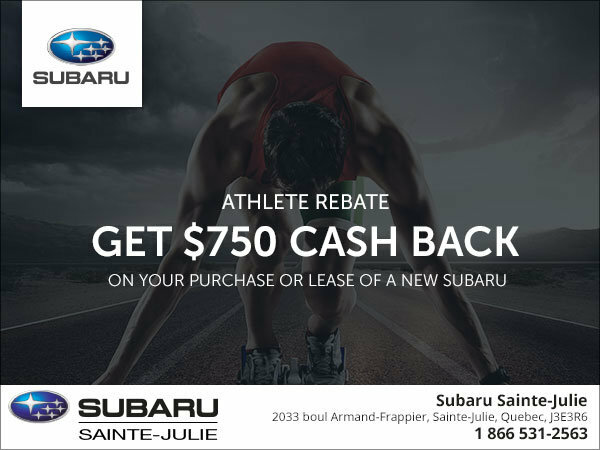 To show our appreciation to those athletes competing in any of Subaru Canada, Inc.’s sponsored triathlons or running events, we are offering a $750 rebate on the purchase or lease of a new Subaru vehicle in Canada. 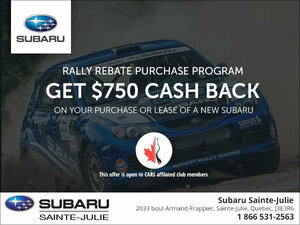 To learn more about this and other great programs, visit one of our dealerships today! 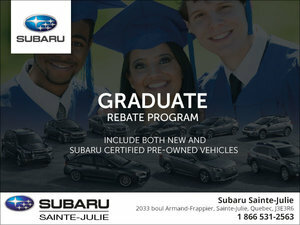 Simply fill out the application, gather the required documentation, and send it to Subaru Canada, Inc. for processing.